The director's changes to the Uncharted backstory may have been a little too much for Sony. David O. Russell, who has directed movies like The Fighter and Three Kings , has walked away from the Uncharted movie. Insider sources suggest that the split was amicable, and the Academy Award-nominated director could not resolve his creative differences with Sony. On several occasions, Russell had talked about his vision for the Uncharted movie. Protagonist Nathan Drake would belong to a secretive underworld family that policed the trade of antiquities and relics all across the world. According to Mark Wahlberg, who was believed to have secured the lead role, we would also get to meet Drake's father and uncle, characters that as yet have not appeared in the games. Wahlberg said that he and Russell hoped to get Robert De Niro and Joe Pesci to play those roles, although nothing official was ever confirmed. 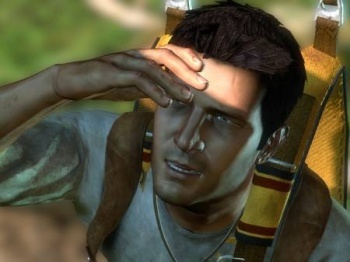 Russell's ideas seemed to be a pretty big departure from the Uncharted games' plot, a fact that he acknowledged, saying that fans would have to trust him. It seems, however, that one or more of his ideas - and it might not be the ideas that we know about - weren't to Sony's tastes. It's kind of a shame to see Russell go, as while he seemed hell bent on changing things, he also seemed to be taking the project quite seriously, and wanted to recruit some seriously high-profile talent. This doesn't spell the end of the Uncharted movie however, as Sony is said to still be "aggressively" developing the property. Maybe someone should tell Nathan Fillion he might be in with a shot again?